Update the ANN post with the latest developments, Asset ID and other relevant information. The minereum wallet shows 32k tokens. However, how I can see mined tokens. How can I send or receive? I can't understand the interface part clearly. 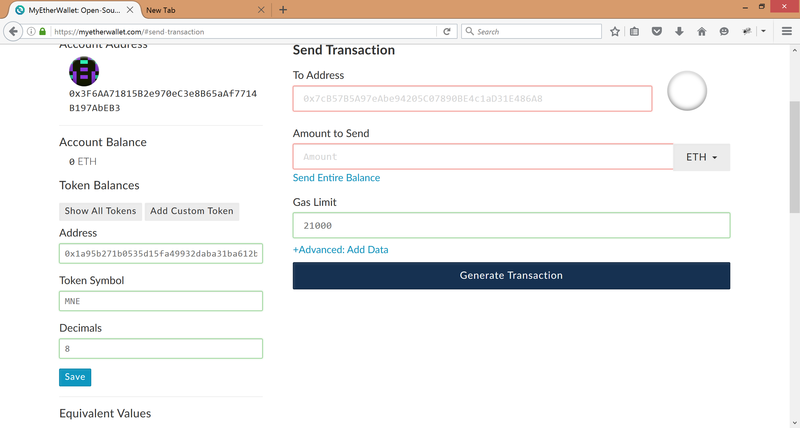 Any ethereum wallet can be use to load and transfer your MNE tokens. minereum is now deployed on the ethereum network, the first ever Self Mining Smart Contract. All 4268 Genesis Addresses were credited with 32,000 coins. As explained in the white paper, "mining" in minereum is performed on the fly with a mathematical formula. The total coins created is 0.00032 MNE per Genesis Address and per ethereum block. ethereum has a total of 5 coins created per block, which makes the total coins generated per day at 28800 ETH. minereum has a creation rate 72% lower than minereum. Take into account that minereum has 8 decimals so the return of these functions must be divided by 100000000 to get the real amount of MNE. Each Genesis Address is now credited with 32,000 coins each. There are a total of 4268 Genesis Address. It will take aprox. 47 years to reach the total supply. The initial initialBlockCount is 3516521 (April 11, 2017). By default all Genesis Address will have a mining of aprox 10 days and therefore will have an available balance of aprox 18 MNE. 1. 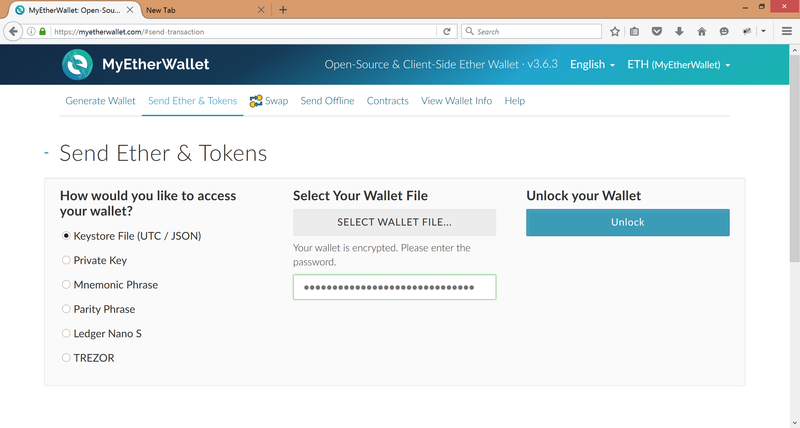 Genesis Addresses cannot receive coins. If coins are transferred to these addresses the transaction will be rejected and there will be an error in the ethereum transaction. 2. The available coins for transfer for the Genesis Addresses is limited to what is explain in the "Mining" point. If a Genesis Address attempts to transfer more funds than what is available as per the availableBalanceOf function, an error will be returned in the ethereum transaction. All other addresses are free of these limitations. Bravo Dev. Great job. I got my coins. Look forward to the exchanges. how join the coin now? or do we need to do anything at all Dev ? it will produce by it self for each Genesis Addresses ? Only genesis adresses can mine ? With 32000 minimum coins ? Make quote this post visible the picture for all. Is distribution of this token has been started. This address is still unverified. Thanks Dev!!!! Tokens MNE successfully received!!! Just read about the project, the idea of making the coins available slowly over 47 years seems a bit delicate. How many people do you think will still have access to their addresses by then (or in 1 year, 2 years) or how many will still remember about it? I estimate that probably at least a quarter to a half of all coins will be lost. Maybe if it was thought differently, if it was a modified PoS system with these principles it would have been a bit better. I'm curious what the reaction will be of all those people that haven't yet understood the system when they'll see that actually just a few tens of MNE are available to them as of now. 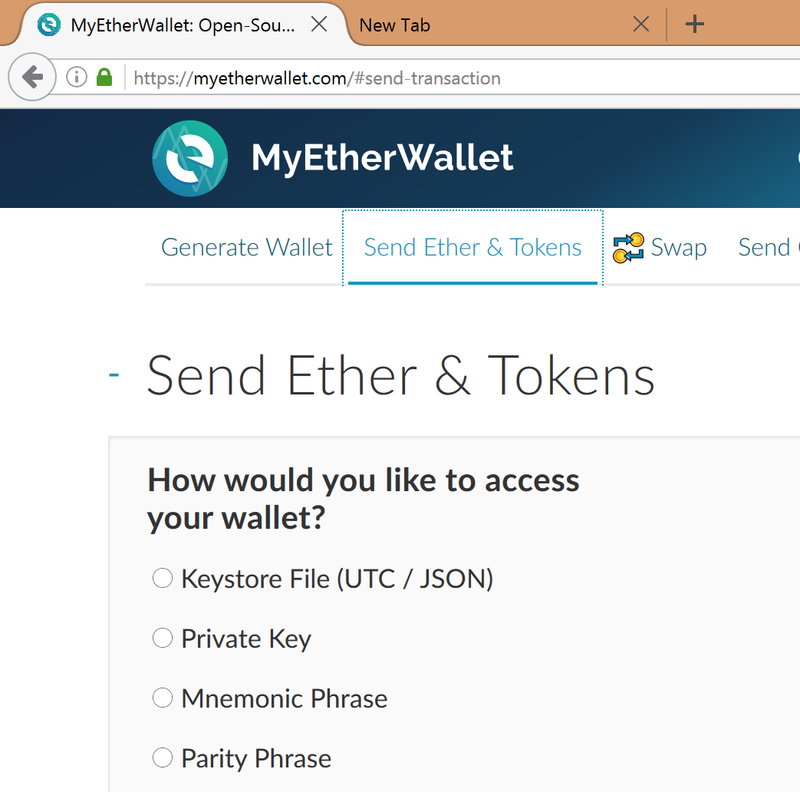 I can't able to see Minereum Tokens in my wallet. What's wrong?